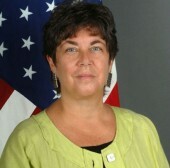 Jewish activist Hannah Rosenthal served as a U.S. special envoy to work against anti-Semitism. Elected by the La Crosse Area Synod in 1992, Rev. April Ulring Larson became the first female Lutheran bishop in North America and the second in the world.